Mubarak Eid Mubarak Song Watch Online. Eid celebrations has already began. Are you all prepared with the gifts for Eid. Sheerkhurma, sivaiyya, those lovely dresses on Eid takes my heart away. What could be more than a celebration then watching Salman Khan movies on the day of Eid! Last year it was Bajrangi Bhaijaan and this year, it is Sultan. Eid celebrations with sweets and lovely Pakistani Dresses is what I look out for. But Eid stands incomplete without Mehndi Designs for Eid. There are also details about Mehndi Designs for kids on Eid Day. Enjoy the song with love and compassion towards humanity as Eid suggests. Mubarak Eid Mubarak from the movie “Tumko na bhul Payenge” is one among the biggest hit song for Eid in Hindi. Love to send those lovely Eid Greetings Messages to your friends. Click on the link for the same. After 30 days of fasting, “Roza” and the end of month of Ramadan declares the feast of Eid Ul Fitr. The day of celebrations. Another Song from a Salman Khan movie Aaj Ki Party Meri Taraf Se from Bajrangi Bhaijaan is a deadly combination of Eid Song and Salman Khan. Total fun song with huge celebrations on the day of Eid. Lyrics of the Song Mubarak Eid Mubarak. Mubarak Eid Mubarak song from the movie Badshah – The Don. It’s a Bengali version of wishing Eid Mubarak. Wish everyone a very Happy Eid. May God Bless all with lots of love and blissful life. 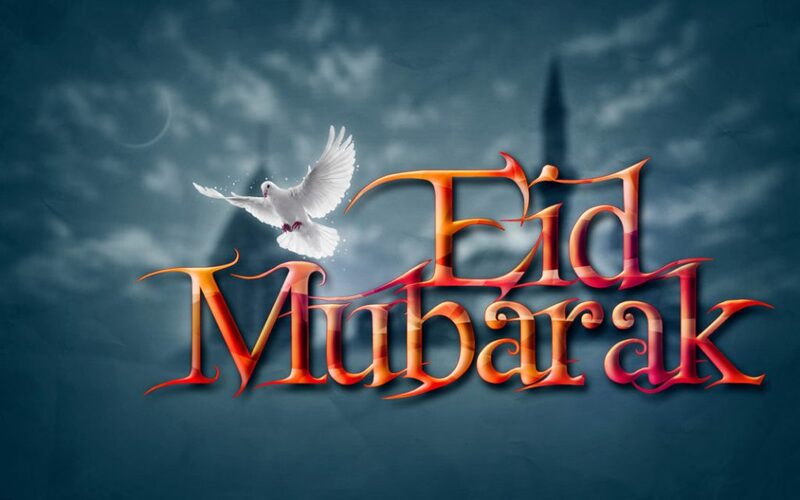 Enjoy the festival of Eid. Eid Mubarak.